Xylophones are percussive instruments that possess a range of pitches. The notes on the xylophone are arranged from lowest to highest, moving from left to right. The larger bars on the left end are lower in pitch, while the smaller bars on the right end of the instrument are higher in pitch. You play a xylophone by striking the instrument's wooden bars with a mallet. If you want the xylophone's notes to resonate more loudly or for a longer period of time, you can accomplish this goal through multiple methods. Strike the xylophone with mallets that do not have yarn covers. Many mallets come with yarn covers, which can protect the finish of the wood, but also dull the resonating quality of a note. Purchase mallets without yarn covers or simply snip off the yarn covers with a pair of scissors. Use a mallet that has a slightly soft head. Mallets with harder heads tend to have more treble in their pitches, but they aren't necessarily louder. A mallet that has a softer head usually draws more of the true tone from the instrument and can actually be louder than a soft mallet. Strike the xylophone with stronger force to maximize resonance. A harder strike will cause greater resonance. Aim for the center of the bars when you hit the instrument. If you strike either end of a bar, you will get less resonance. Place the xylophone on a xylophone stand before you play it. 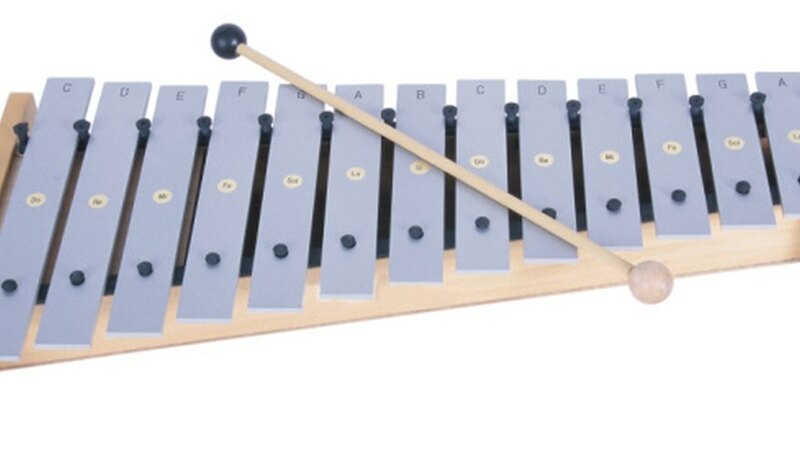 Xylophone stands keep the instrument off of the floor by supporting both ends of the xylophone. If you place the xylophone on the floor, the floor will deaden much of the sound.